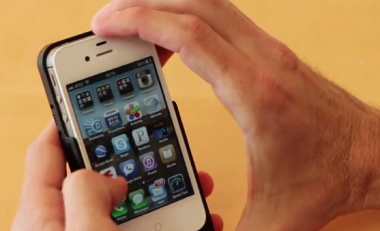 FreedomPop on Thursday started taking preorders for its first product, an add-on sleeve that gives the iPhone 4G data capability. The company, which is backed by Skype co-founder Niklas Zennstrom, is promising users who buy the $99 device upwards of 500 megabytes of free data use each month. The company isn’t building its own network, but is using data service to be provided by Clearwire and others. Those who order the device being are told that it will ship by the end of the summer, though they can request a refund if they get tired of waiting. Although it is giving away Internet bandwidth for free, the company aims to make money by selling other, as yet unspecified, services. FreedomPop also plans to sell data packages for those who want more than the included free bandwidth.